Trustees Stephen Pryor ’71 and Sylvia Daniels Weaver ’75, who are retiring from the board, will be elected to emeritus status. The following are biographies prepared for the Commencement program. STEPHEN D. PRYOR, member of the Class of 1971, has been a member of the Board of Trustees since 2003. Pryor was vice chair of the board and vice chair of the Steering Committee and the Executive Committee from 2010 to 2016. He is currently a member of the Steering Committee, Executive Committee, and Committee on Compensation and vice chair of the Committee on Grounds and Buildings. 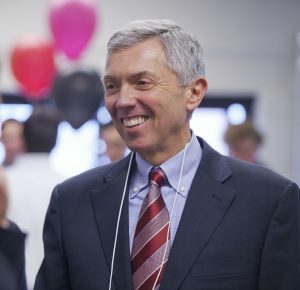 Pryor is chair of the $400 million Live Connected, Lead Change campaign, the largest and most ambitious fundraising effort in the College’s history. He was a member, ex officio, of the Presidential Search Committee whose efforts culminated in the election of Alison R. Byerly as Lafayette’s 17th president. Before becoming a trustee, Pryor served as board associate and member of the Lafayette Leadership Council. He has shared insights and expertise with Lafayette students on many occasions. A biology major at Lafayette, Pryor holds a Master of Business Administration degree from Harvard University Graduate School of Business. His wife, Katherine Wheeler Pryor, is a member of the Class of 1974. Pryor retired as president of ExxonMobil Chemical Company and vice president of Exxon Mobil Corporation on Jan, 1, 2015. During a 43-year career with ExxonMobil, he held executive positions in Cyprus, the United Kingdom, New Zealand, and the United States. He was named president of ExxonMobil Chemical Company in 2008, after serving as president of ExxonMobil Refining and Supply Company and president of ExxonMobil Lubricants and Specialties Company. Pryor has been recognized as a one of the world’s senior executives making the greatest positive impact on the chemical sector. He was awarded the Chemical Industry Medal by the Society of Chemical Industry; Distinguished Leadership Award by the American Chemistry Council; and Petrochemical Heritage Award by American Fuel and Petrochemical Manufacturers. He was a member of the executive committees of the American Chemistry Council and Society of Chemical Industries and a director of the International Council of Chemical Associations. He is a director of Catholic Distance University and Immokalee Foundation. SYLVIA DANIELS WEAVER, member of the Class of 1975, has been a member of the Board of Trustees since 2008. Weaver is chair of the Committee on Educational Policy and member of the Executive Committee. She previously served as vice chair of the Committee on Information Technology and alumni associate member of the Committee on Financial Policy. She was a member of the Presidential Search Committee whose efforts culminated in the election of Alison R. Byerly as Lafayette’s 17th president. Currently a member of the Steering Committee of the College’s McDonogh Network, she served on the Presidential Working Group on Faculty Salaries. She was a member of the Alumni Council’s Executive Committee and Young Alumni Committee, Alumni Affairs Transition Team, and 40th Anniversary of Coeducation Committee. Weaver is the recipient of the Alumni Association’s Clifton P. Mayfield 1909 Outstanding Young Alumni Award for outstanding service by a member of one of the 15 most recent graduating classes. She received the Lois and Neil Gagnon Award for distinguished service to the Office of Career Services in assisting students in career exploration. An English major at Lafayette, Weaver holds a Master of Science degree in telecommunications and computing management from Polytechnic University. Her husband, George Weaver, is a member of the Class of 1972. Their ties to Lafayette include daughters Stephanie ’03 and Danielle ’07 and son-in-law Stephen Gabriel ’07. Weaver is president of Sensei Leadership Development, a private consulting firm that specializes in continuous improvement and change management. 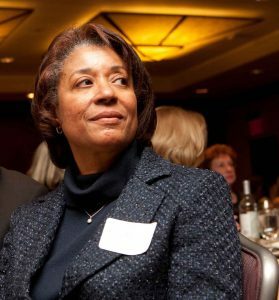 She retired in 2008 from Johnson & Johnson, where she was vice president and member of the management board of Johnson & Johnson’s information technology company, with worldwide responsibility for Johnson & Johnson’s computing infrastructure. Post-retirement, she worked with Covance as vice president of process excellence and signature client service.